The year 2017 ended with an important milestone for the military business of Avio Aero, as part of the EJ200 programme. A milestone shared with the Italian Air Force, which has always been a strategic partner for the leading company in aircraft propulsion, and is set to celebrate 110 years of business in 2018. In fact, the 225th engine scheduled for production has now been delivered, meaning the production of new engines for the Italian Air Force is now complete. The programme called for the delivery of 225 EJ200 engines in three tranches, as agreed in the first order signed in 1998, and was later followed by two further contracts. However, the history of the engine that powers the fourth-generation of the famous fighter aircraft, the multi-role Eurofighter Typhoon began even further back in time: in fact, the Eurojet consortium was formed by Rolls Royce, MTU, ITP and Avio Aero, in 1986. Since then, these companies have been committed to supplying the brilliant turbofan engine, developed thanks to the multinational collaboration between the United Kingdom, Germany, Italy and Spain. The success of this aircraft is also confirmed its adoption by other countries, such as Austria, Saudi Arabia, Oman, Kuwait and Qatar, who subsequently joined the program. The EJ200 is an engine that "offers excellent levels of performance, both in real use and in training. The level achieved by the aircraft, in terms of its reliability and safety is, in my opinion, also unequalled in the aeronautical industrial landscape”, according to Col. Alessio Grasso, Director of the Territorial Technical Department of Naples and Milan. Colonel Grasso is part of the Secretariat General of Defense, specifically Armaereo, the management office that deals with supplies for the Italian Air Force. The detachment of Brindisi, housed within the Avio Aero plant, explains Grasso, also depends on the Territorial Technical Office of Naples-Capodichino. Brindisi is renowned for its dedicated role as the overhaul and maintenance center for military engines where, in addition to the assistance activities it performs, the assembly and testing of the completed EJ200 engine takes place. Avio Aero, within the Eurojet consortium, is then responsible for 21% of the design and production of essential components for the EJ200 engine: the engine accessory drive train, such as that for aircraft (i.e. : the AMAD, aircraft mounted accessory drive train) and the low pressure turbine produced in the Rivalta plant, while in Pomigliano the afterburner (heat shield) and the APU (auxiliary power unit) are produced. In December, engine number 225 was therefore delivered to the Italian Air Force, with the very first delivered in 2001. Since then, 194 engines have been installed on 97 Eurofighter of the Italian Air Force, which also had the privilege of receiving delivery of the 500 production aircraft last April, at the base in Turin-Caselle. From the words of Cristian Ferrari Senior Manager of the EJ200 program for Avio Aero, it is clear that with the delivery of the last engine of the programme, the work in partnership with AMI will not end. "From today, we will be even more focused on offering the best level of assistance for ordinary and extraordinary maintenance, for spare parts, the overhaul and logistics-engineering support in cooperation with the air force". 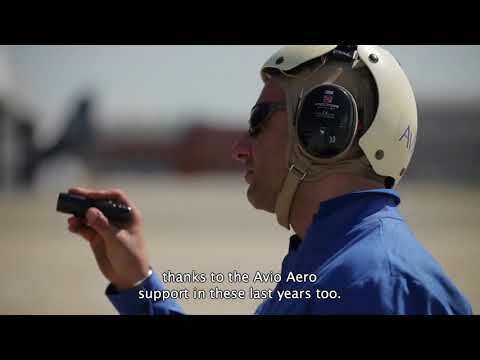 The technicians and engineers of Avio Aero are, in fact, not only working alongside the pilots and officers of Brindisi, but also in many other air bases of the Italian Air Force: Cameri, Grosseto, Gioia del Colle and Trapani. Ready to assist the flight of supersonic aircraft, able to exceed the speed of sound with a speed of Mach2 (more than 2400 km/h).